ChristCentral Church is well served by many public car parks, if you’ve not got change speak to our Guest Team and they’ll make sure you’ve got enough. 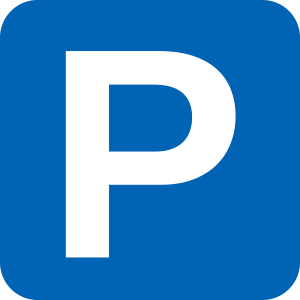 Our Morning Service venue, the John Pounds Centre, does not have a dedicated car park, however there are hundreds of spaces available in nearby public car parks. Our Welcome Team, who are visible at our St James’ Street entrance, can provide you with £2 for all day parking and a map showing the recommended car parks, alternatively you can download our Handy Guide. We don’t want you to be caught out with on-street ‘short-stay’ parking, so all our options give plenty of time to enjoy the service, and you can even pop out for lunch nearby without worry. There are two University Car Parks close to the John Pounds Centre, where parking is available for £2 for the day on a Sunday. Details of these Car Parks can be found on the RingGo Website. Portland Car Park (RingGo 1247) is next to our St. James’ Street entrance, while Anglesea Rear (RingGo 1244) and Mildam (RingGo 1245) are a short walk from the John Pounds Centre. 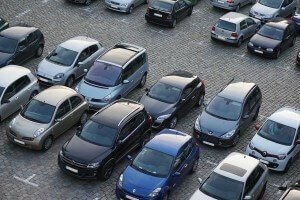 Our Welcome Team have a supply of Parking Permits for the surrounding area. The JA Parking Zone is detailed on the attached map from the Portsmouth City Council Website. Finding a space to park in Portsmouth can be difficult and may not be right next to the John Pounds Centre. We have a drop off point at the John Pounds Centre, at the St. James’ Street Entrance where passengers can disembark. Just look out for our Welcome Team and the flags. The John Pounds Centre is located within walking distance of Portsmouth Town Centre and Portsmouth Harbour. This makes the John Pounds Centre easily accessible by public transport. Ideal for when you want to leave the car at home. If you have driven down, why not leave the car in the Car Park and visit Gunwharf Quays or Guildhall Walk for some lunch.